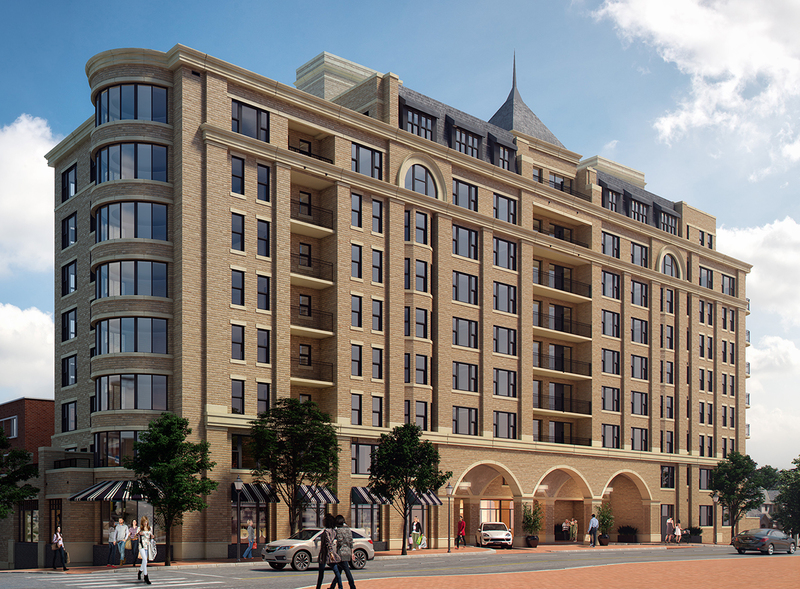 "Reston-based developer Duball LLC has broken ground on a luxury residential project by Woodmont Avenue and Battery Lane in Bethesda, where it is hoping to tap what it sees as a strong and rising demand for high-end condo units in the area." "Duball began construction earlier this month on Stonehall, a 46-unit condo project being developed across the street from a Harris Teeter-anchored mixed-use project developed by StonebridgeCarras. Duball President Mark Dubick said he believes demand is being driven by a variety of factors including the proximity of major employers like the National Institutes of Health and the Walter Reed National Military Medical Center. Dubick is hoping the roughly $35 million project will appeal to empty nesters as well as the hundreds of new Walter Reed employees whose jobs were shifted to Bethesda from the medical installation's former home in the District. "It's all really geared toward the empty nesters and those buyers who are not really looking for single-family homes in the area," Dubick said. "We think there's a little bit of maturing of Bethesda." Duball isn't a stranger to Bethesda, where it previously developed the 158-unit Lionsgate with units priced from $650,000 to $3.2 million. And the developer is also planning to break ground early next year on a much larger 71-unit condo project at 4990 Fairmount Ave.
Units in Stonehall are expected to to range from about 950 square feet to 2,500 square feet. Duball has retained the Paradigm Cos. as its general contractor for the project, which was designed by Maurice Walters Architect Inc. The nine-story building, which will include about 3,000 square feet of ground-floor retail, is salted for completion in the third quarter of 2016."